The Elijah Interfaith Institute is involved in a global venture this coming weekend and we invite all our friends and supporters to participate with us. 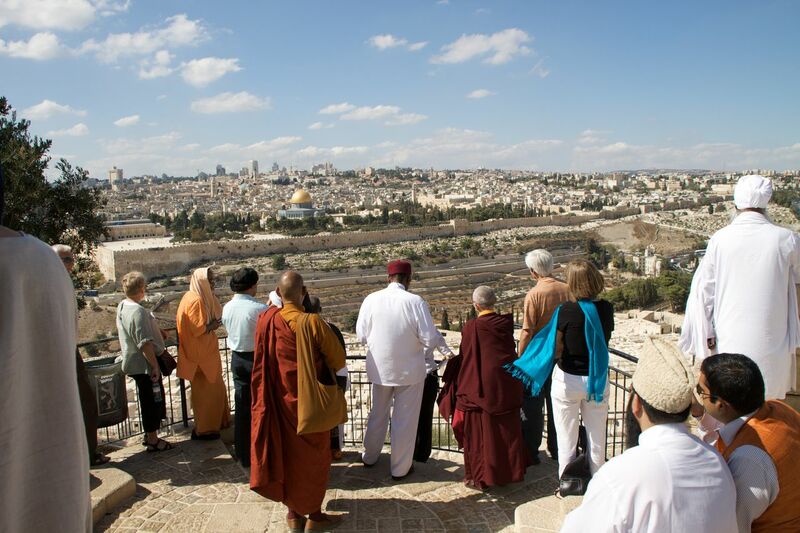 Join the Elijah Board of World Religious Leaders and interfaith leaders from throughout the region in creating and celebrating Harmony in the Holy Land (http://www.harmonyintheholyland.org) an historic weekend of peace-building and healing, December 21-22, 2012. Harmony in the Holy Land hopes is inspired by a global movement synchronizing thousands of people in prayer, meditation and music events worldwide. It will feature Christian, Jewish, Muslim and Druze spiritual leaders and musicians from the Abrahamic faiths offering prayers, inspirational messages and sacred music, LIVE from Jerusalem. It is an unprecedented weekend of activities, which will be live-streamed on Friday afternoon and Saturday evening from sacred sites throughout the Old City of Jerusalem. Elijah supports the notion that this is the perfect time for such an event, given the current situation in the region and a recognition that deeper healing is needed. This is a global call to prayer from the city of Jerusalem. In addition to Elijah, this event is sponsored by The Jerusalem Peacemakers, Birth 2012, UNIFY, The Shift Network & Peace Day LIVE. 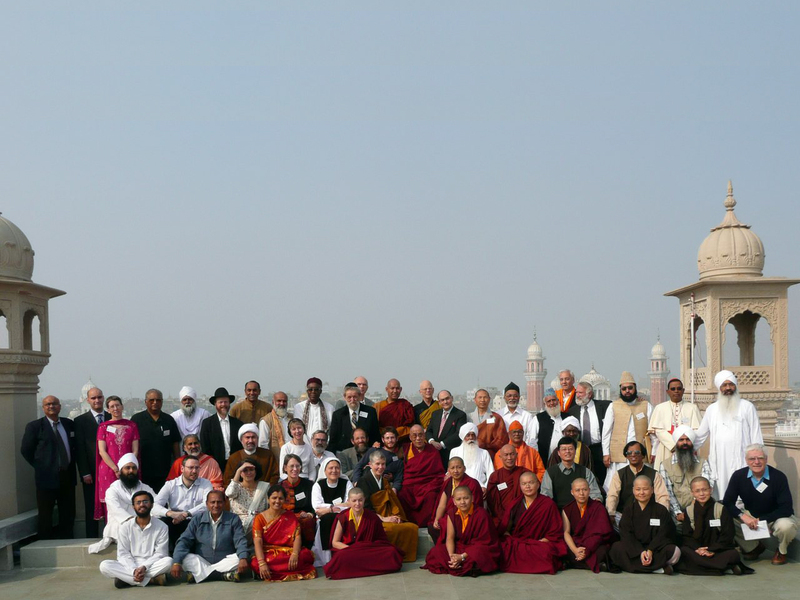 UNIFY, the global prayer/meditation for peace, will broadcast Muslim, Jewish and Christian religious leaders conducting prayers at the central holy places of their faiths in Jerusalem’s Old City at 1pm IST (GMT+2) on Friday afternoon, synchronized with thousands of prayer events worldwide. Hundreds of international events happening during the weekend are being integrated into a 33-hour live Birth 2012 online broadcast. Locations holding prayer events include Byron Bay, Dublin, New York City, Los Angeles, Giza, Chitzen Itza, Guatemala, Peru, Chiang Mai, and more. Wherever you are, you can join us on line and/ or by engaging in prayer, meditation or music for peace. If you are planning an activity, please let us know by return email, so we can include you in our prayers and perhaps in our video streaming. What can the great religions agree upon? Is there a common message that they can give to humanity? The following reflections and prayers, representing six major religious traditions, share one key theme, as a common denominator of all religions – Hope. Hope is required because the potential for despair and lack of meaning is an intrinsic feature of life. We require teaching, vision and a good dose of optimism to orient our lives towards higher purpose, to guide us through the challenges and difficulties of life and to protect us from the many evils that humans are capable of enacting. Our traditions share an optimistic view of life. Life has purpose. The human person can live in a way that is noble, elevating and that allows him or her to rise above the despair that the daily encounter with the outward appearance of ‘reality’ can generate. One can find meaning and hope through deeper understanding and a teaching of proper living. Our religions have different ways of accounting for why we must retain hope. For some, it is grounded in narrative – the narrative of a messianic end in which good and God will triumph (Judaism, Christianity) For some, it is grounded in the very reality of God and His guidance and care (Islam, Sikhism). Still for others, it is grounded in the proper understanding of reality and our ability to live our life in light of such understanding (Hinduism, Buddhism). While the specific visions of hope change from one tradition to another, the principle of hope is constant. What is equally constant is the recognition that we, humans, must take charge of our lives and live them according to the highest ideals in order for hope to be maintained. The key to hope is thus in our hands. Even as we rely on providence and God’s plans for the present and the future, our ultimate happiness stands in direct proportion to the lives we lead and the values we practise. A. We must remember we are not alone. For most traditions this is a recollection of God. But it is also a recollection of our fellow human beings and of all creation. The insight that we are all interconnected, part of a larger being, or vision or plan, is a fundamental insight that our religions share. That is a source of hope. B. Greed and selfishness are the great vices, detaching us from the vision of wholeness. Their fruit is isolation and despair. We suffer from these today as great illnesses of our society. C. Hatred and intolerance will increase our isolation, causing us to lose sight of the All. D. The great positive commandment is to love or have compassion. Practising it is a source of joy, meaning and hope. Today’s humanity needs hope as much and even more so than previous eras. Rapid changes in lifestyle lead to destabilisation and require us to discover new balances and to retrieve sources of meaning. In the spirit of a globalized world, religions too need to offer their deepest wisdom for the well being of all of humanity. Specific moments of concern about the stability and continued existence of our planet are moments to recall that while all life is transitory, its transitory nature must be appreciated from a higher context that endows it with purpose and meaning. We must all live our changing and transient lives with a hope that redefines our life, providing it with meaning, direction and a healthy orientation for the good of All.